Dr. Brad Crisp has been named as the new dean for the College of Business Administration. 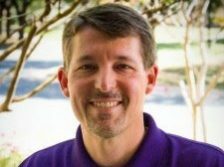 During his 10 years on the faculty at ACU, Crisp has served as director of the School of Information Technology and Computing, which earned ABET accreditation under his leadership; and he launched the online Master of Business Administration as its first director. Crisp is a 1993 COBA graduate and holds an MBA and a Ph.D from the University of Texas. He is married to Jennifer, and they have two sons, Jon and Caleb.